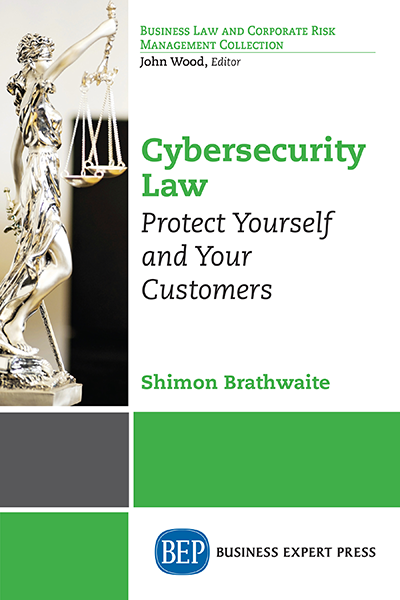 Shimon Brathwaite, is a graduate of Ryerson University’s business technology management program who specializes in cyber security. He is cyber threat intelligence specialist that has worked with multiple financial institutions. He works as a freelance writer on information technology for bussinessnewsdaily.com, an author at ThreatTracer.ca and a published author with Business Expert Press with books on information security law and cyber threat intelligence. During his time at Ryerson University he accumulated three years of experience in information technology and worked in cybersecurity in the areas of cyber threat intelli- gence and access management at CIBC, TD and Scotiabank. He then founded ThreatTracer, a cyber threat intelligence company in Ryerson’s digital media zone, the number one ranked business incubator in Canada. ThreatTracer is a cyber threat intelligence service provider for small to medium sized businesses looking for a proactive cyber- security solution to improve their security posture.